THE BLEACHER BRIEFINGS: Did the Redskins Overpay to Get the Second Pick in the Draft? Did the Redskins Overpay to Get the Second Pick in the Draft? The Washington Redskins threw down the gauntlet last Friday when they sent the St. Louis Rams three first-rounders and a second-rounder in exchange for the second overall selection in next month's draft. 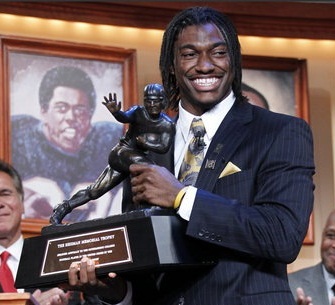 Barring the unforeseen, the Redskins will use the pick to take Heisman Trophy winner Robert Griffin III, who will become the third quarterback in the last decade that the team has drafted in the first round. Blockbuster moves like this have become the norm in Washington. Under owner Daniel Snyder, the Redskins have repeatedly mortgaged the future for hopes of immediate success and, in general, the results have been disastrous. 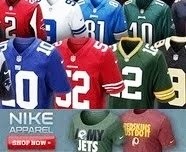 So it begs the question, did Washington give up too much for the right to take RG3? If you're like me, and think no amount is too much to pay for a franchise-type QB, then the answer is no. Griffin can beat you with his arm or his legs. He's an ideal fit for the Redskins boot action offense. He's also shown the willingness to work at his trade to get better. What more could you ask for in a young signal caller? If those factors aren't enough for you, Griffin also happens to be the type of leader players rally around, and he frequently does two things every offense needs from their quarterback in order to win: Moves the chains consistently and creates big plays on all levels of the field. Sure, the Redskins gave up a ton to only move up four spots, but they had to get a quality QB to help them compete in the extremely competitive NFC East. In Griffin, they get just that. The bottom line is, Washington couldn't afford to not make this move. Just look around the league. Teams that get the quarterback position right are set for a decade. They are playoff teams, almost guaranteed, every single year. They have far fewer worries at draft time, and their offseasons are far less stressful and scrutinized. Meanwhile, teams that miss at QB are miserable, lost and confused, constantly reaching for ill-fitting solutions and facing the same insurmountable problems year-in and year-out. The latter sounds a lot like the Redskins of old. With RG3, don't expect it to be the Redskins of the future. The Redskins have sucked for the last twenty years so why not risk another three or four years of the same to get a very good young QB. If a team truly believes a particular player is THEIR GUY, no price is too steep. That was the case here. Only time will tell if it was a wise decision by the Skins. Heath Shuler, Jason Campbell, Todd Collins, Patrick Ramsey, Gus Frerotte, the corpse of Donavan Mcnabb, Rex Grossman, just some of the clowns that have been QB's in Washington over the last 20 years. They overpaid yes, but they had no choice.